This is a railroad tunnel made of sturdy plastic and just right for children. This mountain tunnel has 2 masonry entry portals. The tunnel can be assembled from 2 plug-together parts by a child and is therefore suitable for children ages 3 and above. 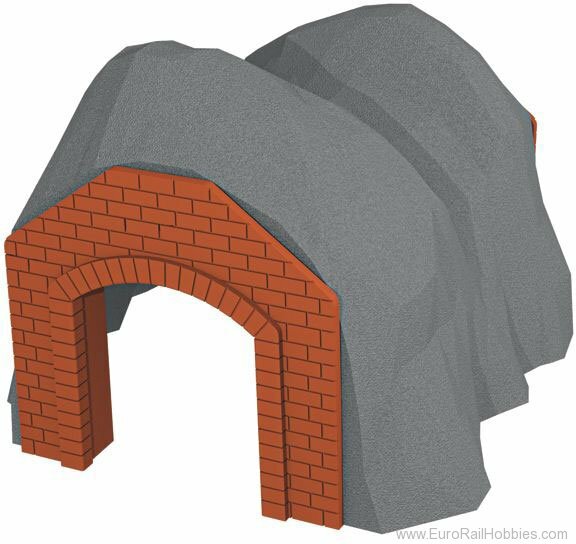 Mountain tunnel for playful expansion of the Marklin my world railroad world. Tunnel consisting of 2 plug-together parts - just right for children ages 3 and above.